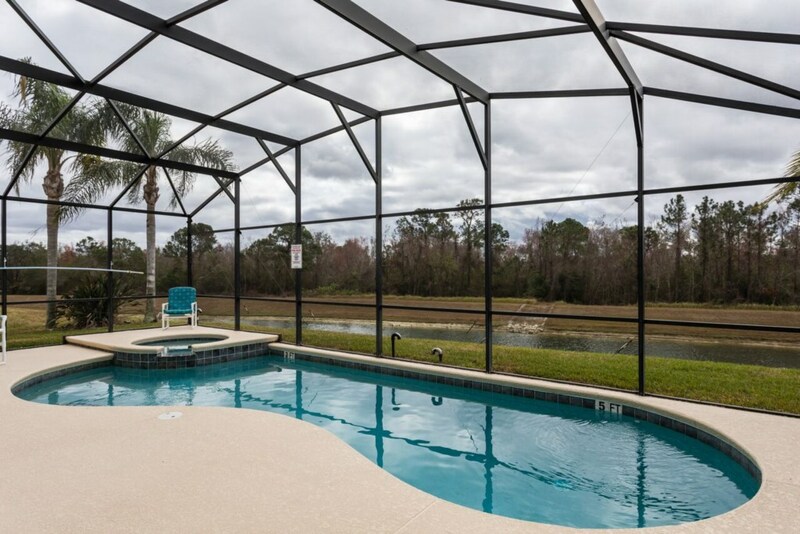 Welcome to our magnificent 7 bedroom Lake villa situated on the prestigious Emerald Island Resort, so close to Disney you can almost feel the magic! 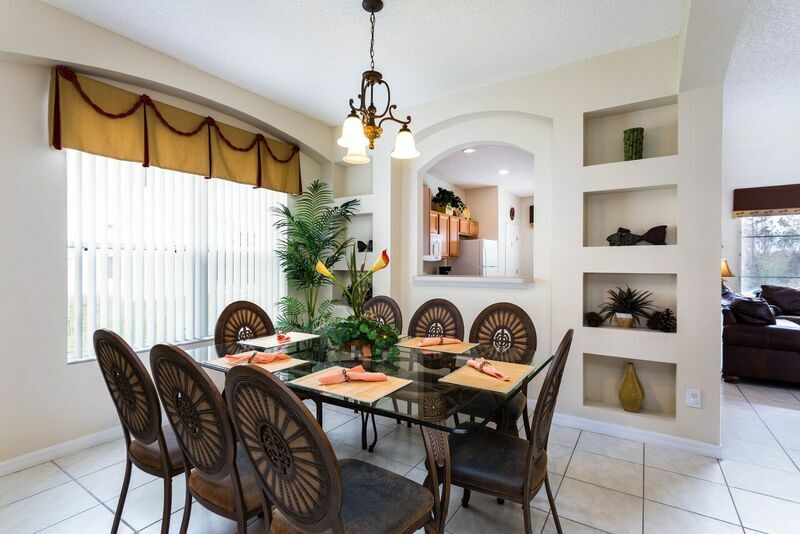 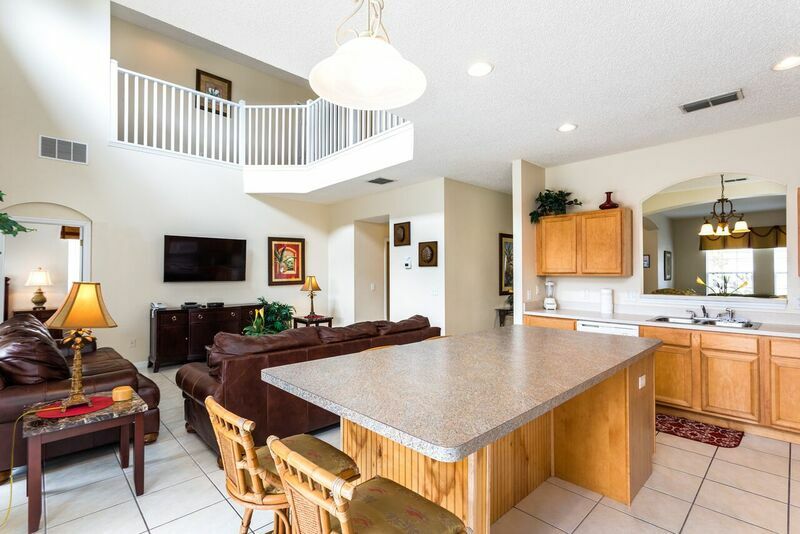 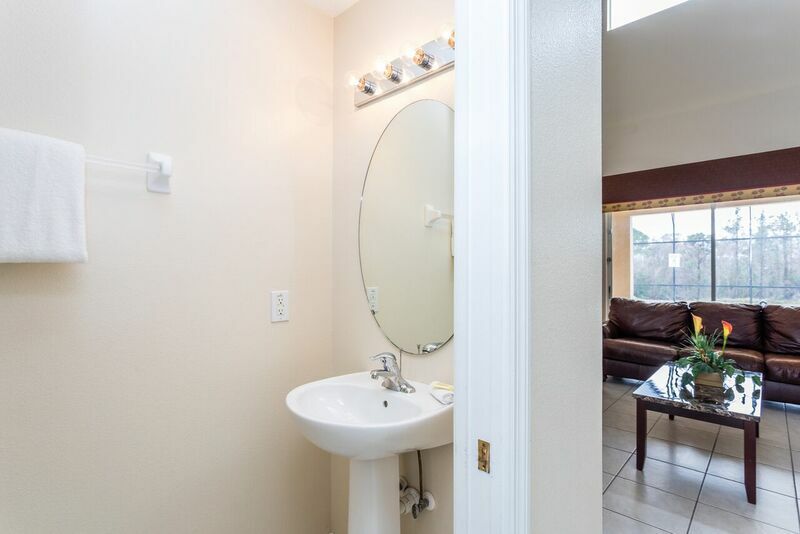 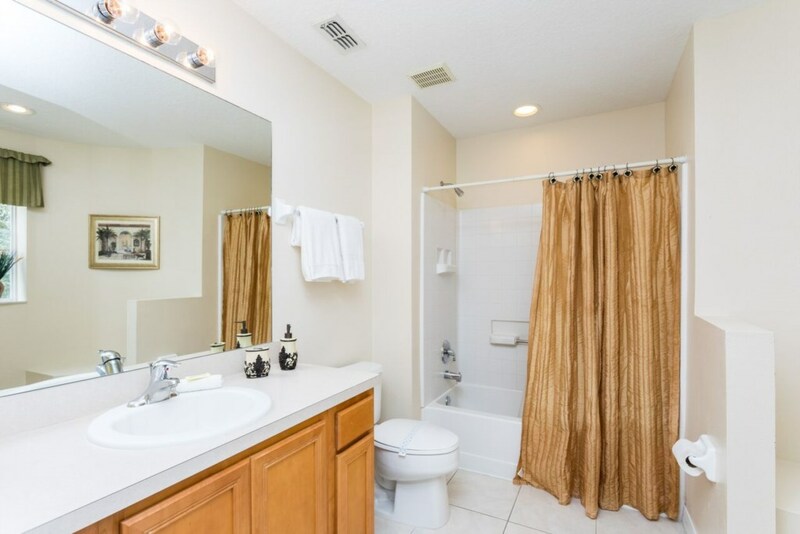 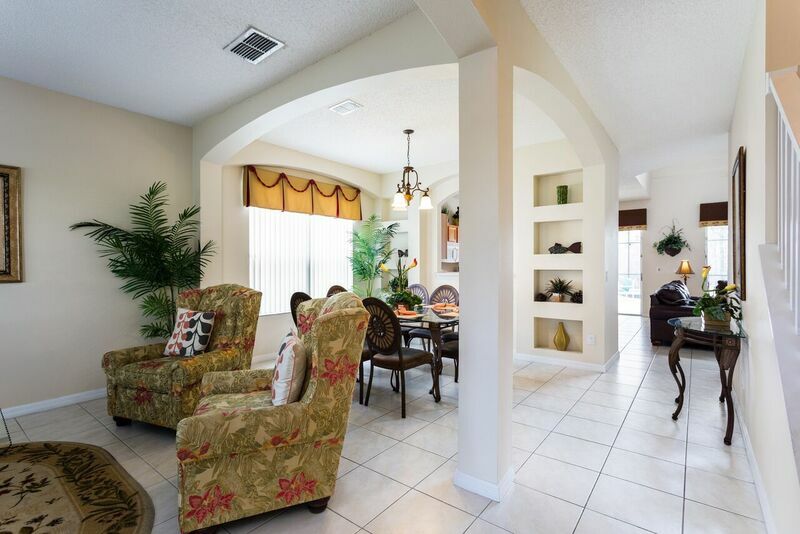 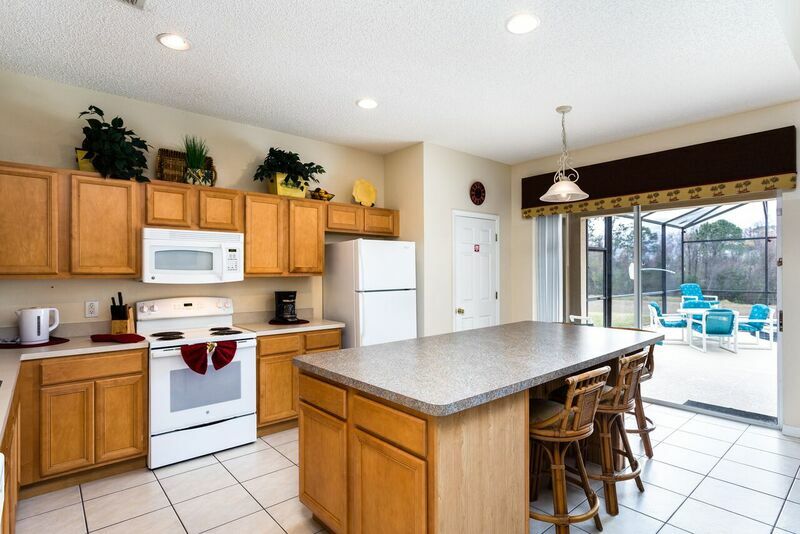 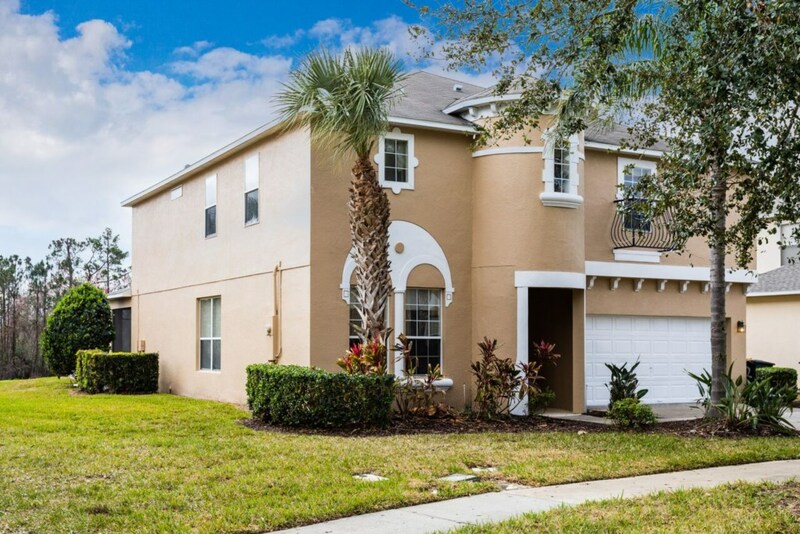 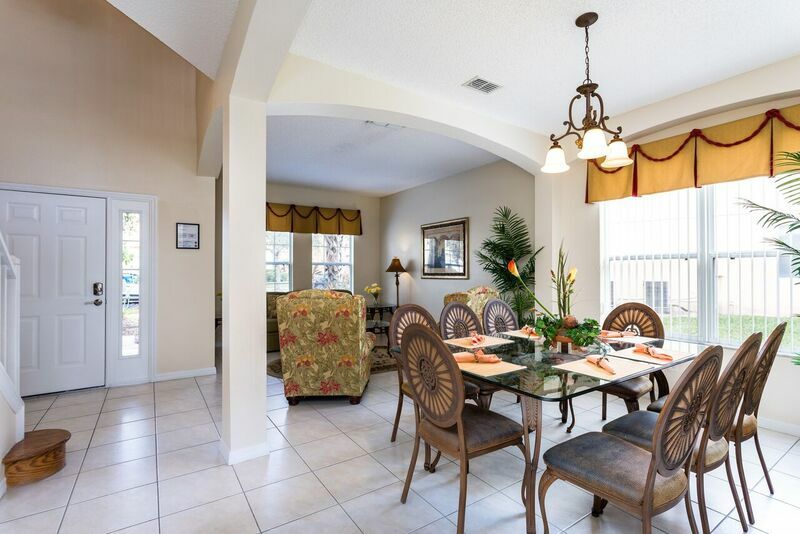 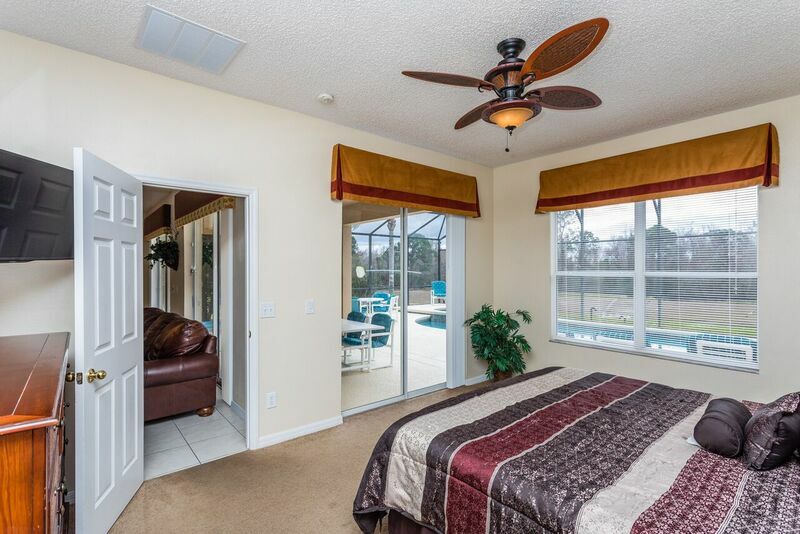 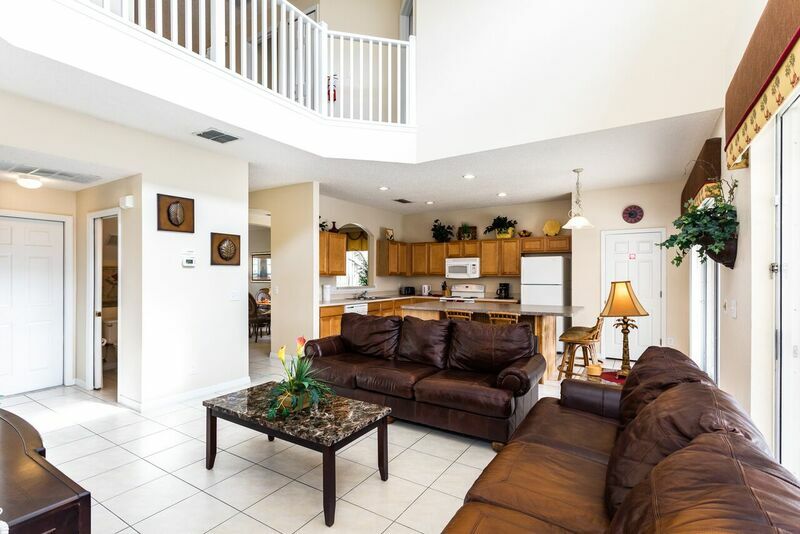 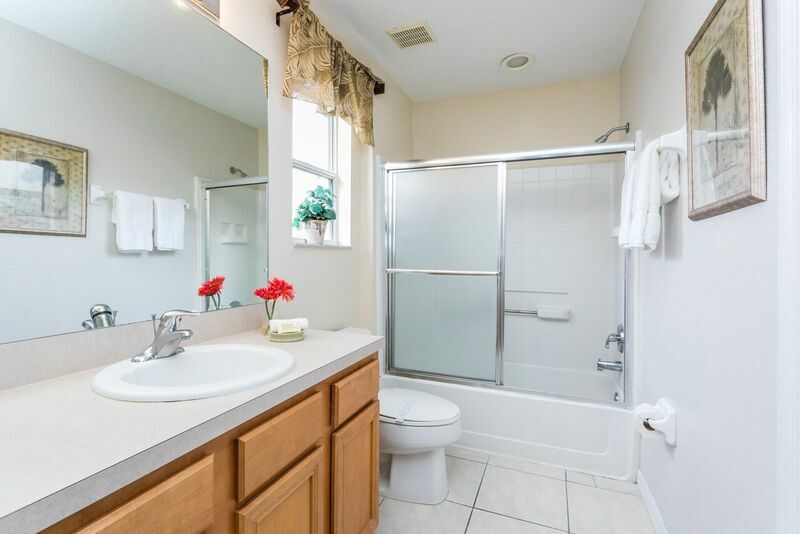 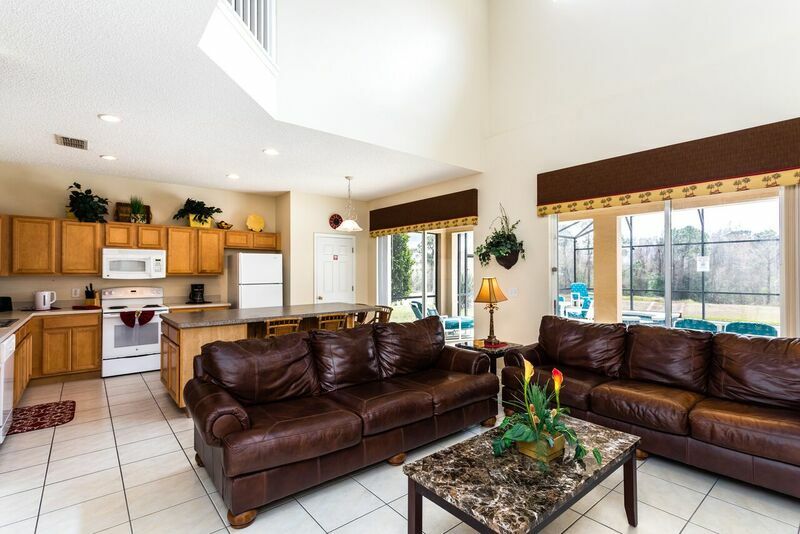 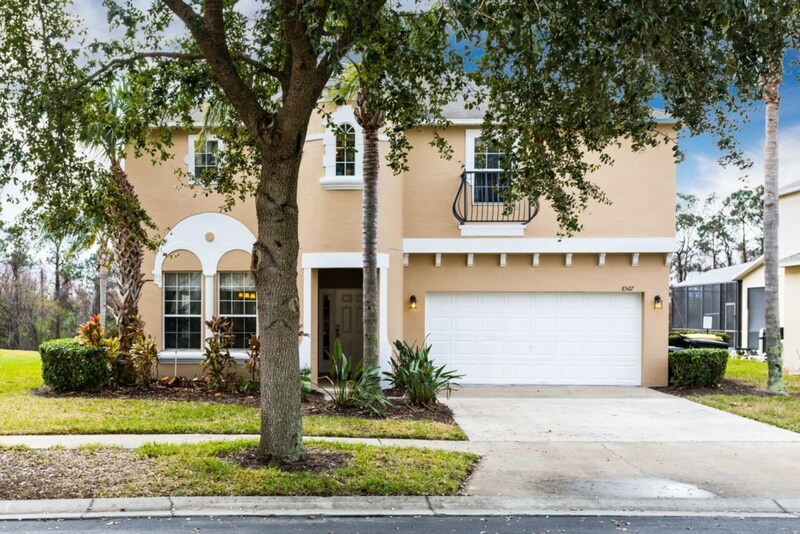 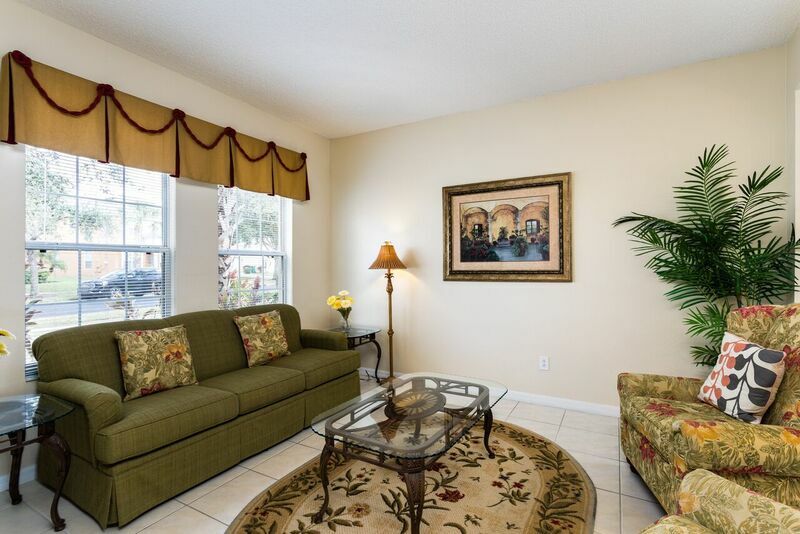 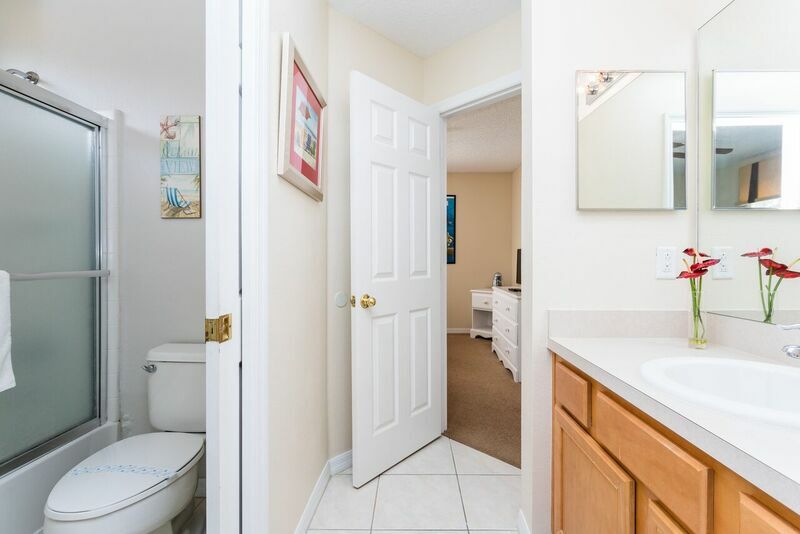 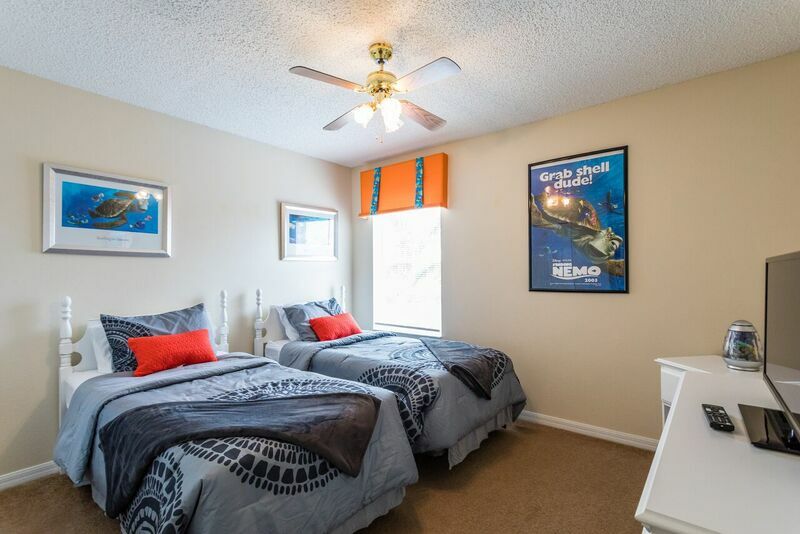 Experience the pleasures of a resort with the conveniences of home at this property, located within 3 miles of many Orlando attractions such as Walt Disney World, world-class shopping and fine dining. 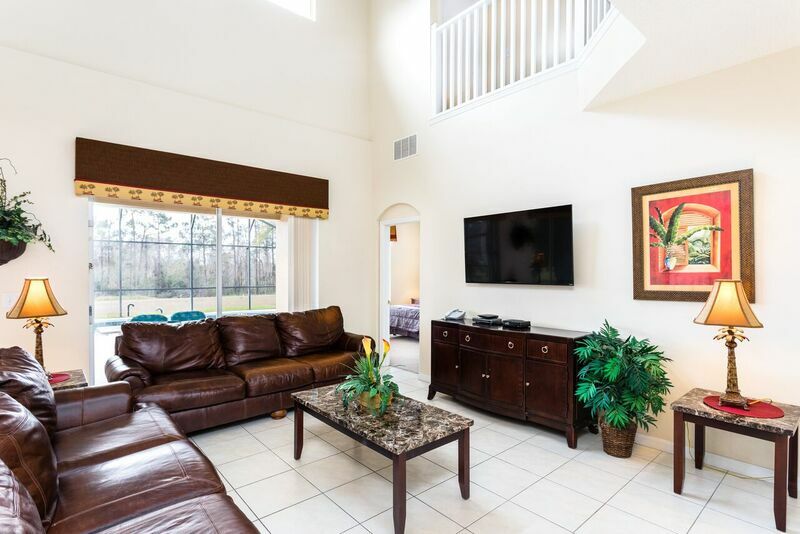 The interior of the home is professionally decorated and includes a huge living room with an flat screen LED TV. 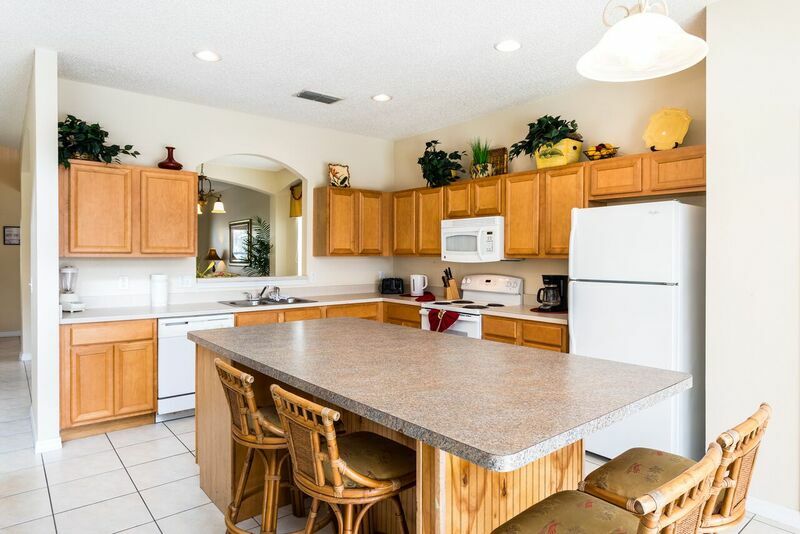 The luxurious kitchen is fitted with high quality appliances and dining options of a breakfast bar, dining table and outdoor seating. 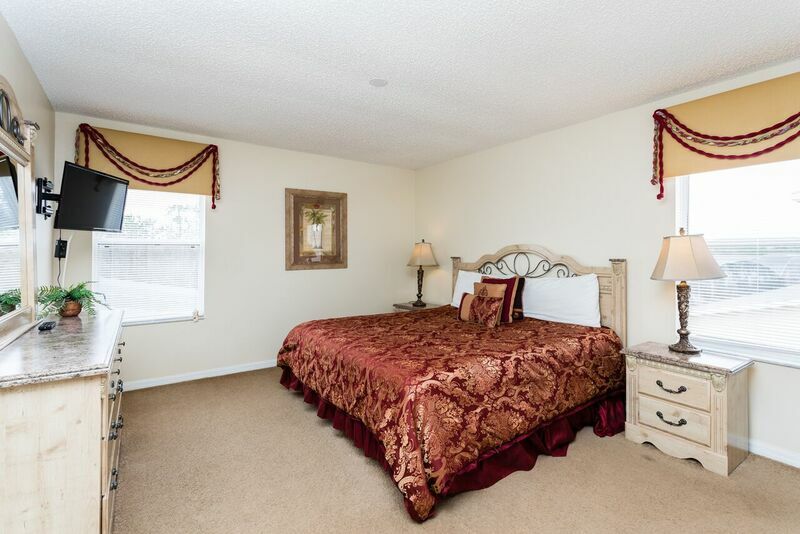 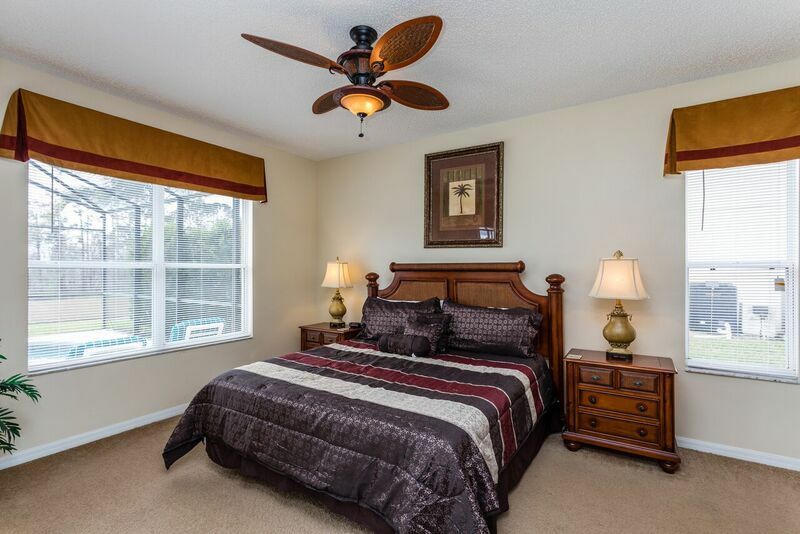 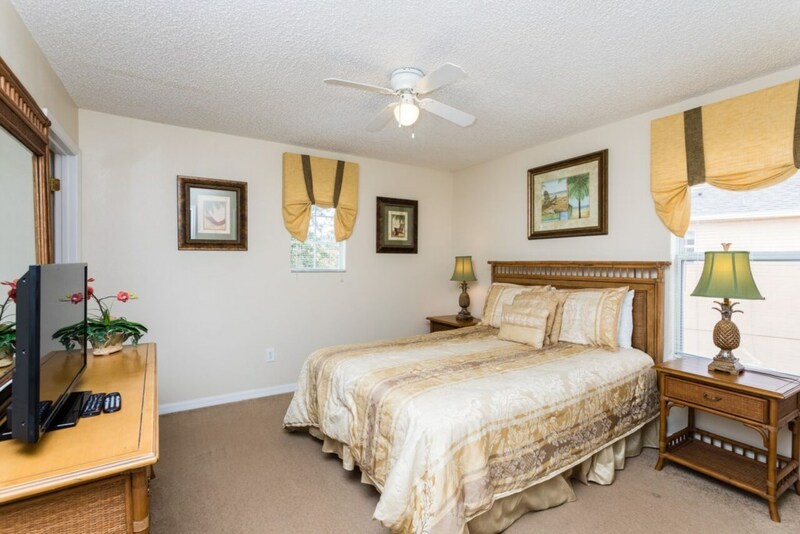 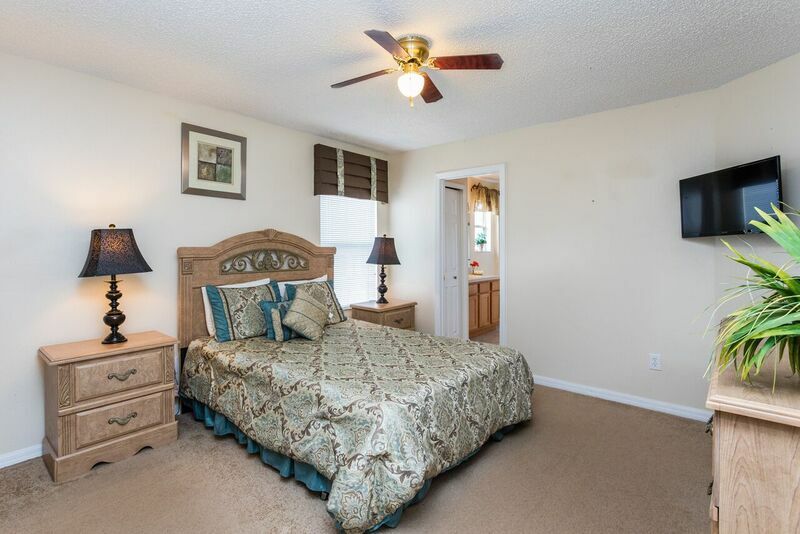 There are two master bedrooms each with king beds and high quality furnishings. 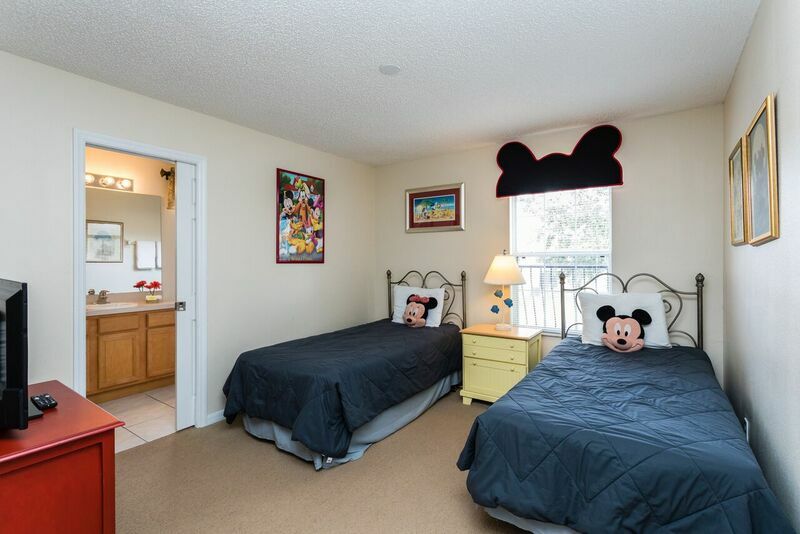 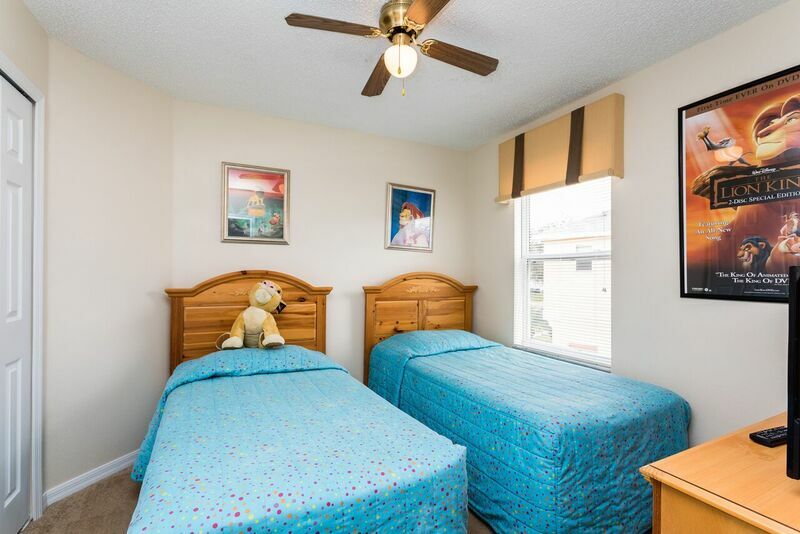 This property also features two additional queen bedrooms and three twin single rooms that are themed in the style of the Lion King, Finding Nemo and Mickey Mouse which are sure to be a hit with the children and let them live the disney dream all day and night. 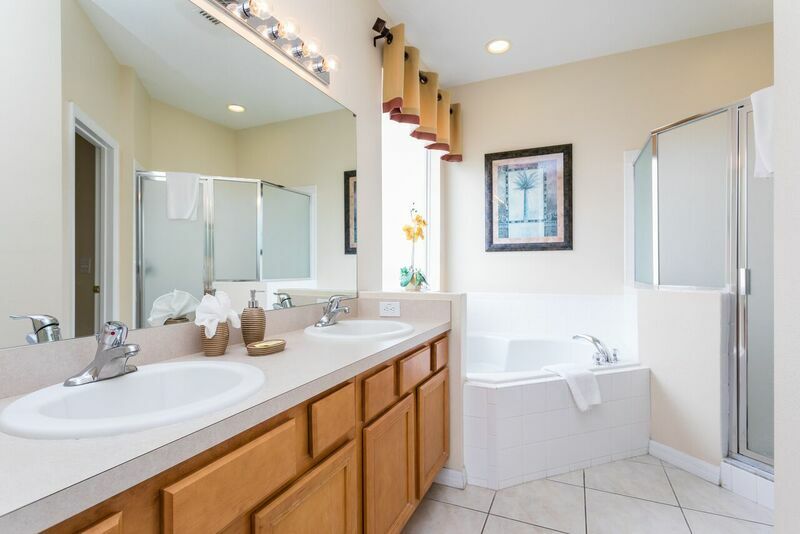 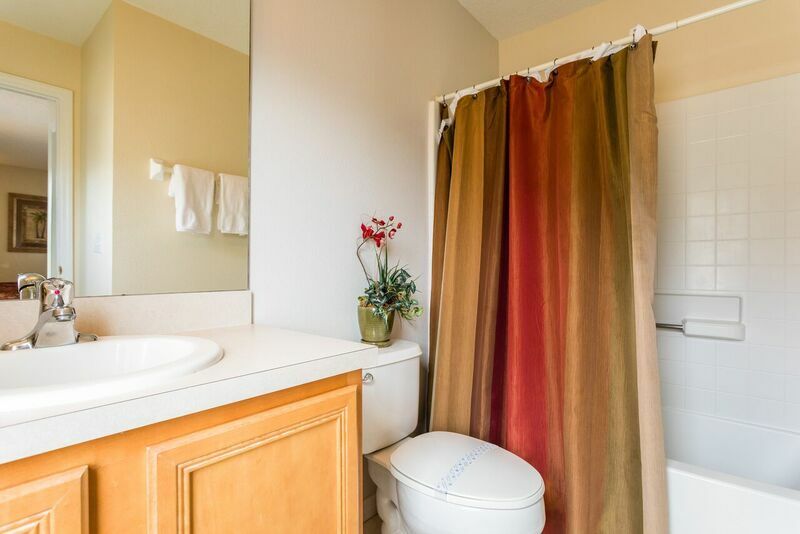 The bathrooms of this property feature high quality fixtures and vanities to continue the luxurious feel of this property. 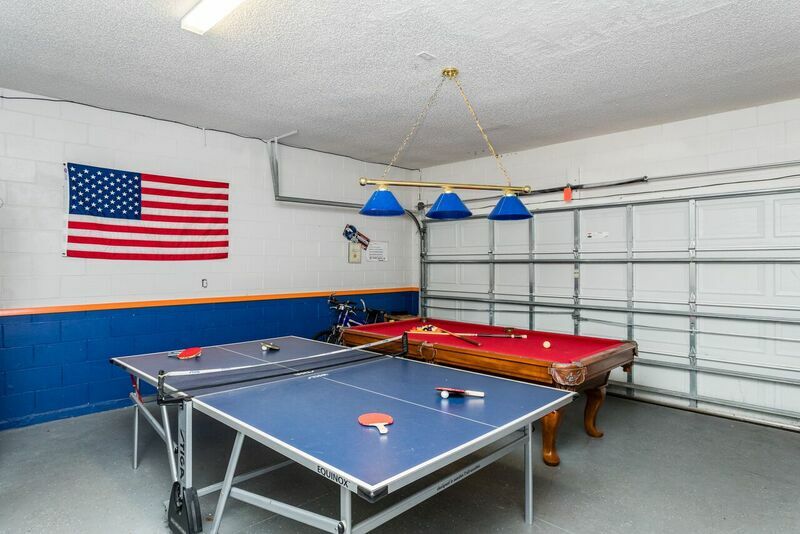 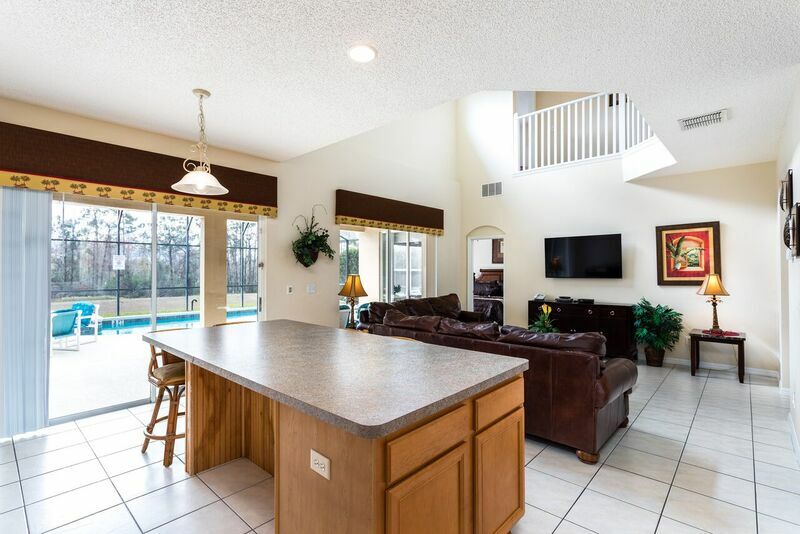 The villa is fully equipped with everything you could possible want from a vacation home, along with your own Florida Gators themed Games room, which includes a pool table, air hockey and darts, also a private south facing pool and spa to admire the beautiful views of surrounding conservation land.